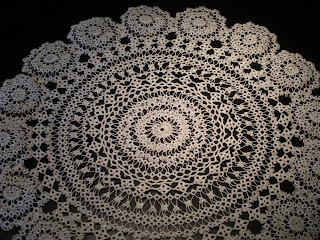 After the large doily I just finished, I needed a break. I went to the WIP pile and tried to figure out what was next on the list to finish... I spotted the 'endless edge'. AHA!! 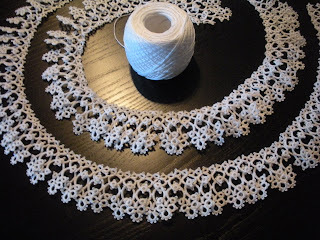 The pattern is simple and doesn't need a lot of concentration. I started the edge about 1 1/2 years ago while on vacation. 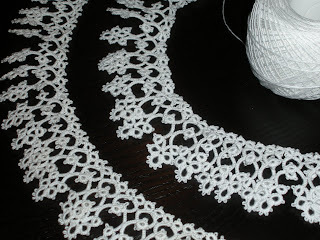 I worked on it off and on until....it went into dormancy. Now it's been sitting idle for nearly a year. So, I started on it again. I didn't really have a final project in mind. BUT, I do have 52" to this point. How long should it be? 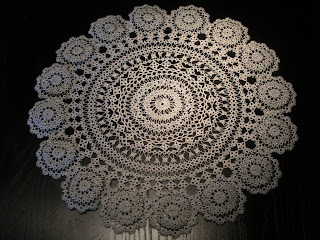 I'm thinking of a round linen table cloth. But, how big should the table cloth be? I know the equation for figuring out circumference of a circle....I just don't know how long....Help me out here. It was way back in July of last year when I reported to you all I was working on a 'secret' project. Well, I found out today that the book has been published and I can share the work with you. 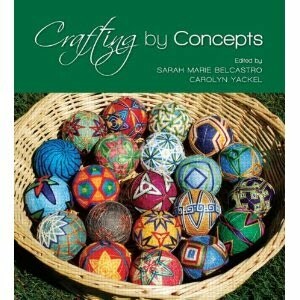 Here's a book edited by Sarah-Marie Belcastro and Carolyn Yackel. It's Crafting by Concepts: Fiber Arts and Mathematics. 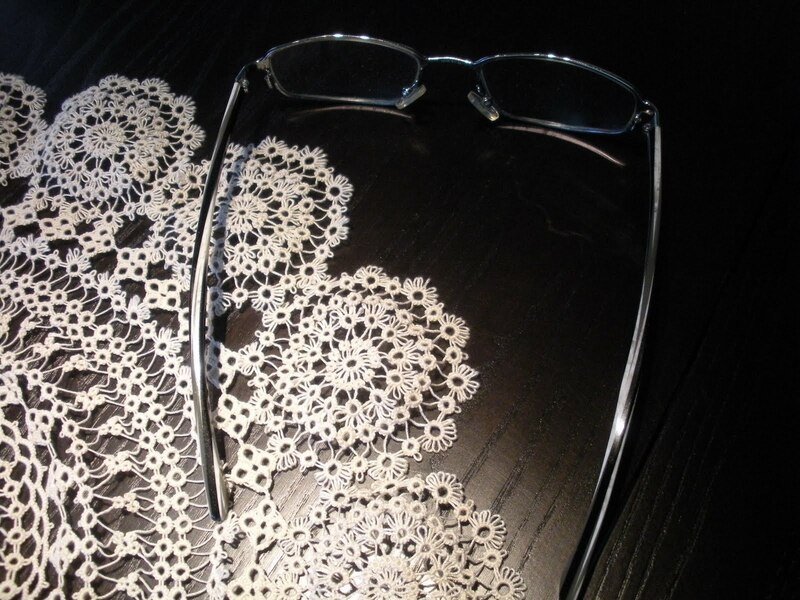 This was my first attempt at pattern testing. The process was a great experience and I hope to be able to do this again. 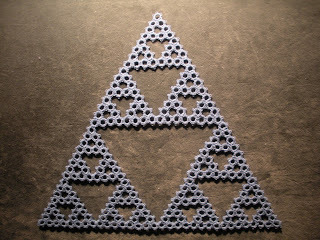 It's a Sierpinski Triangle. 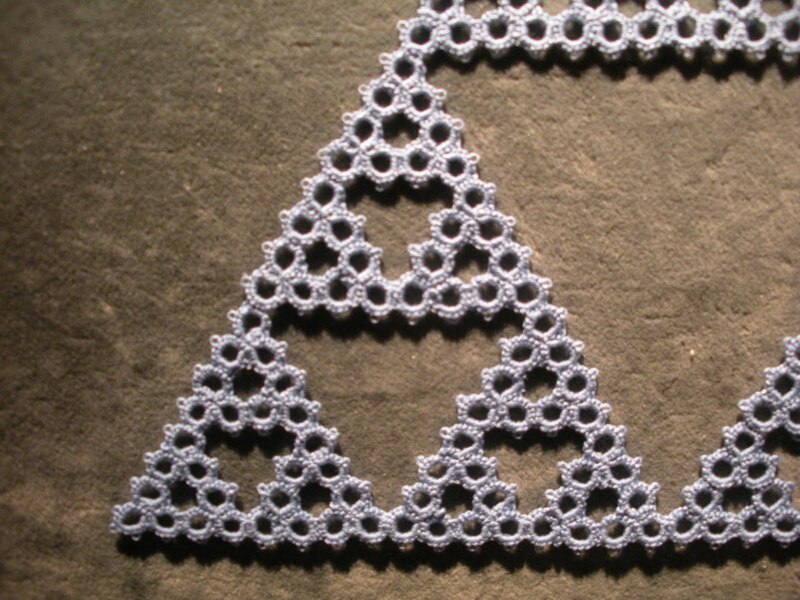 This triangle design is named after Polish Mathematician Waclaw Sierpinski. 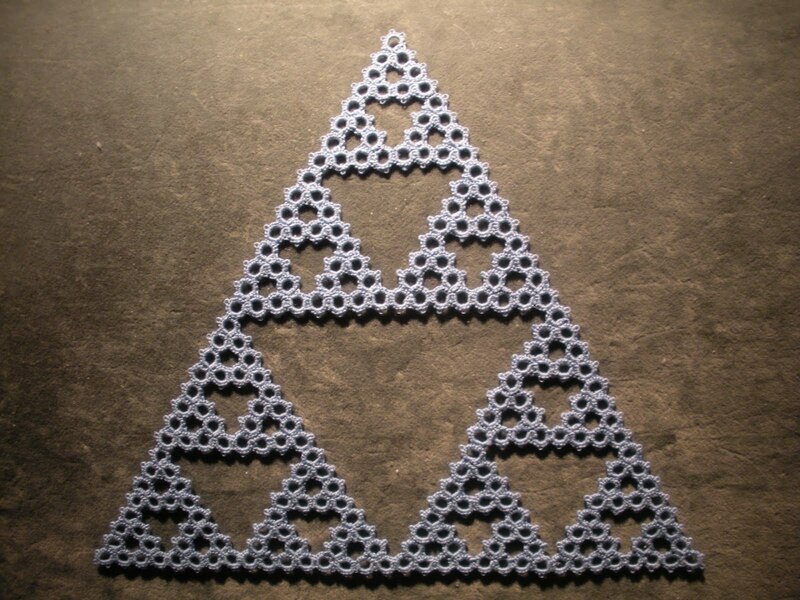 The large blue triangle consists of three smaller triangles, which consist of three smaller triangles, and they consist of...you get the picture. It's pretty cool. The pattern is simple and yet a bit challenging as the fundamental tatted piece begins with three joined rings. The final join was a new learning experience for me. 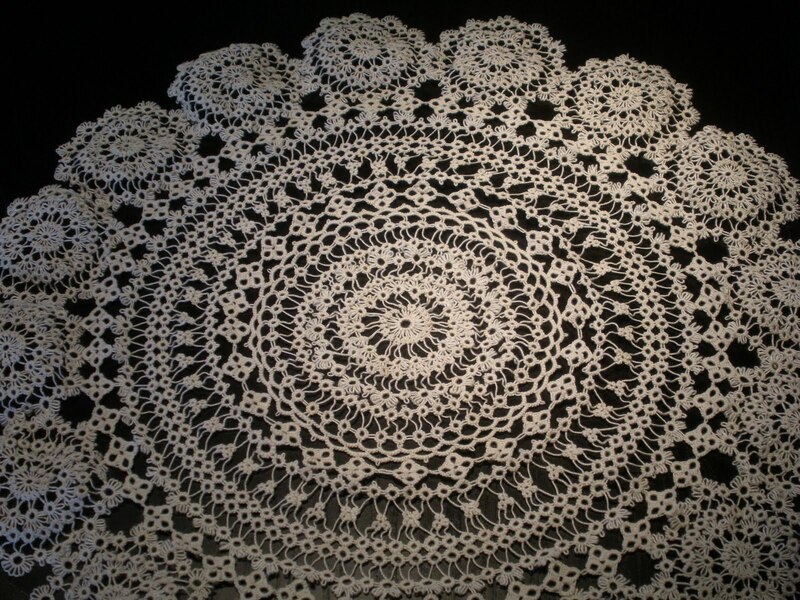 You can see how I had to tackle the a recurring twist before proceeding to the larger project. And, yes, there were 81 ends to hide. 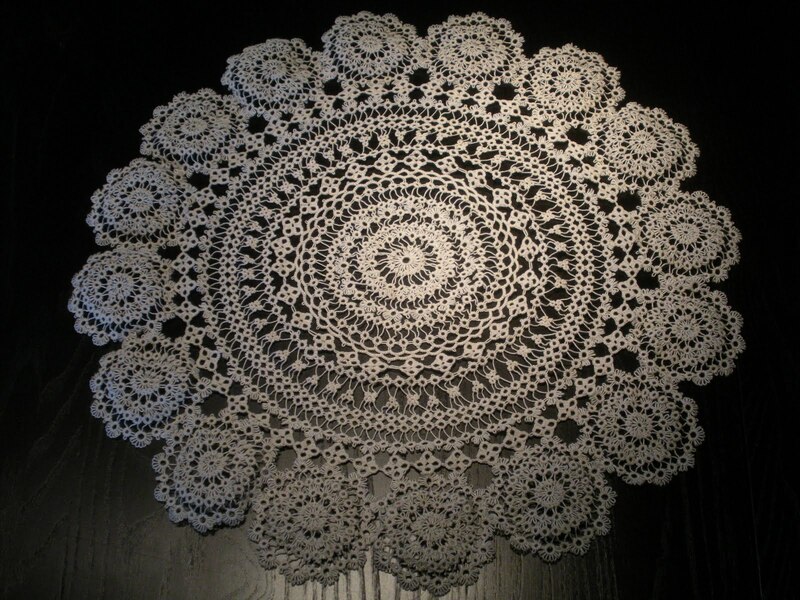 I finally finished the endless round of motifs and here is the project to this point. Several stories are attached to this round. Whether it's God, Karma, or just dumb luck, I ended up on the good end of this one. The original Anne Orr pattern has 15 round motifs attached. 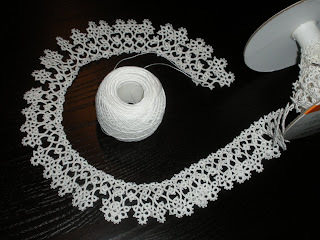 Because of the length of my unfinished thread throughout the piece, the final piece is larger than the original pattern. Each round motif is attached to three diamond in the previous round. Three....Not Two....Not Four....just three. When I realized this, I panicked a bit. 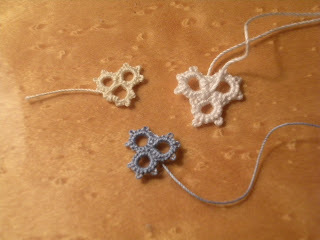 Then I counted the diamonds...I had three left over and therefore the 15 became 16 round motifs. I didn't need to fudge while attaching the motifs. It worked out wonderfully! My measuring devices were a bit unorthodox. 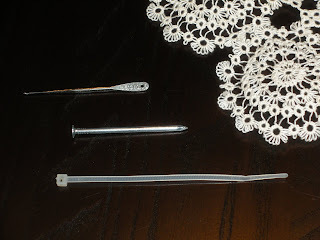 I used the pull-tie for the shorter distance of unfinished threads and the top of the crochet hook for the longer lengths. 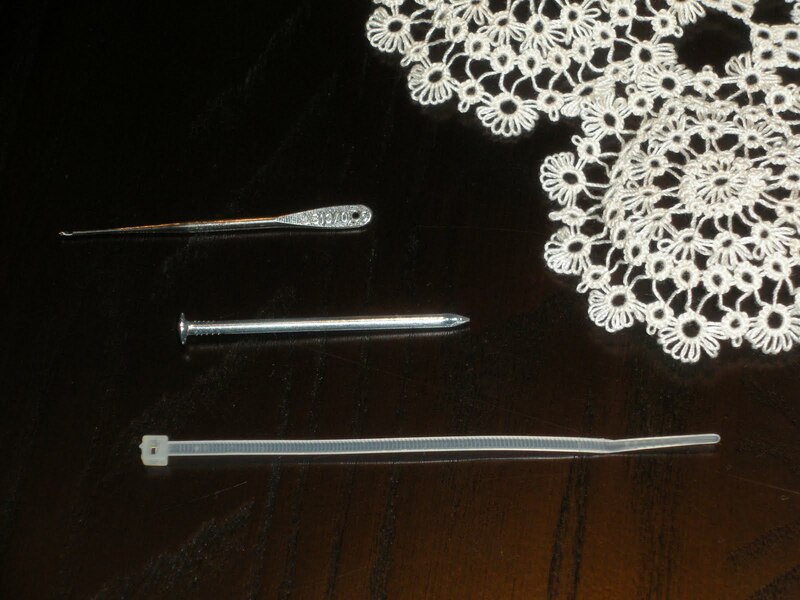 Additionally, the picot gauge or nail is from a shelving unit and formed all the longer picots. It was just trial and error. 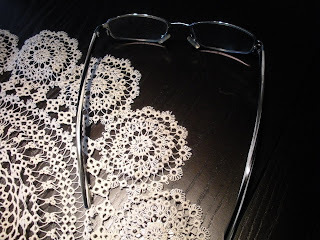 The other tool.....Regretfully, my glasses are now necessary for all projects. Aging...Uuggghhh!! !